Etem Eğilmez’s cult Turkish movies, such as Çöpçüler Kralı, Slako and Kibr Feyzo, will become HD quality with the support of Nizam Eren Company, Vipsaş Studios and Arzu Film. A total of 49 movies will be transformed to higher quality and become compatible with today’s technology. 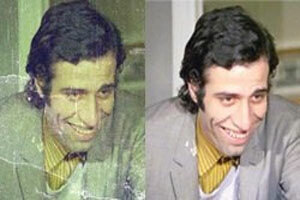 Old movies such as Neşeli Günler (Happy Days), Çöpçüler Kralı (King of Grabagemen), Tosun Paşa, Kibar Feyzo (Polite Feyzo) and Salako (Idiot) will be screened with HD quality. The movies will be compatible for use with new HD and blue-ray technology. The movies will also be protected against corrosion with this new technology. This new project will also give the opportunity to keep the movies on hard disk. Nizam Eren company owner, Nizam Eren said Turkish cinema has produced nearly 6,000 movies since 1914, however those movies were kept in unhealthy conditions for a very long time. “Movies are a part of the heritage of the culture,” he said, adding that they also belong to the society. “That’s why they need to be protected,” Eren said.